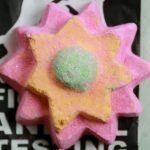 Lush bath bombs might be one of my favourite things to try out, their products have such a fantastic range and are so well thought out and put together. I love that they are fighting animal cruelty and that their products are vegan and vegetarian friendly. They are also fresh, handmade and support ethical buying as well as using naked packaging. That combined with their love of new creations and exciting fun ideas are why I love Lush so much! Today I am sharing with you a little Floating Flower Demo Video showing how the bath bomb will look in your bath. As you will see in my video the flower floater unusually floats along the top of the water fizzing gently around your bath. My video is edited to less than a minute but the Floating Flower for me took over 20 minutes to dissolve! (I’m not sure if that is a negative point?). As always I hope you enjoy watching my video, please subscribe to my Youtube channel and please give it a thumbs up if you enjoyed it. The Floating Flower is a new Lush Bath Bombs creation and contains Jasmine Absolute, Ylang Ylang Oil and Cypress Oil. As you can see from the video the floating flower gives your bath a fantastic colour but also releases quite a pungent, heavy scent. I quite like this but if you prefer a gentler smell only use half of the floating flower per bath. The bath bomb left no residue on my skin but has left it feeling very soft, and the scent of Jasmine made it a very relaxing bath. 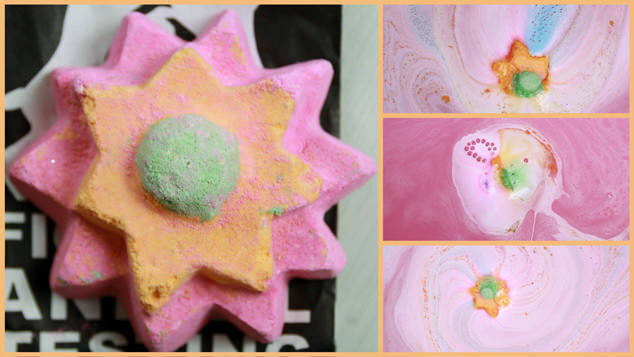 In comparison with other Lush bath bombs the Floating Flower is one of their cheaper items at £3.50 and gives you petals of love and colour! 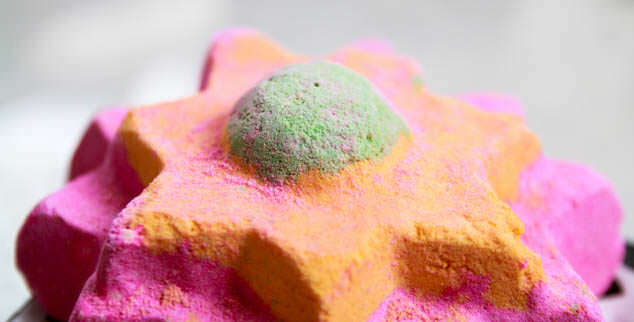 Which are your favourite Valentines Lush Bath Bombs?